Rules of Golf: Why is the Decisions Book Necessary? Why is the Decisions Book Necessary? I am sometimes asked what relevance the Decisions of the Rules of Golf have in making a ruling on the course or in the Committee room. 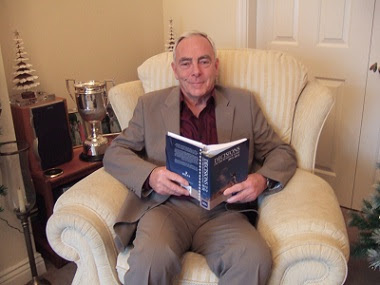 The Decisions book is the official interpretation of the Rules of Golf and is an indispensable tool when trying to resolve Rules problems, which are bound to arise at all levels of competitive golf. I compare the Decisions on the Rules to the role of case law with relation to statutory law; they are rulings which provide fuller interpretations of the Rules and can thereafter be used as precedents. Q. Is it permissible for a player to carry a mat and stand on it when playing from the teeing ground? A. No. The player would be building a stance in breach of Rule 13-3. Q. A player places a bottled drink on the putting green in order to gauge the slope of the green. Is the player in breach of Rule 14-3? A. Yes. The player is using equipment in an unusual manner to assist him in his play contrary to Rule 14-3. Q. If a pond (water hazard) has overflowed, is the overflow casual water? A. Yes. Any overflow of water from a water hazard which is outside the margin of the hazard is casual water. Q. Are plugs of compacted soil produced through aeration of fairways loose impediments? A. Yes. Loose soil is not a loose impediment. However, such plugs, since they consist of compacted soil, are loose impediments. I strongly recommend that every golfer with an interest in the Rules of Golf has a current copy of 'Decisions on the Rules of Golf 2012-2013', jointly published by R&A and USGA. It is currently priced at $16.49 (USGA version), or £11.89 (R&A version), from Amazon via this link. If you do not want to purchase it for yourself you should consider purchasing it for your Club or Society. If you are going to purchase this book or anything else from Amazon, please use this link, as I will then make a few cents affiliate commission to help defray the costs of this free weekly blog.